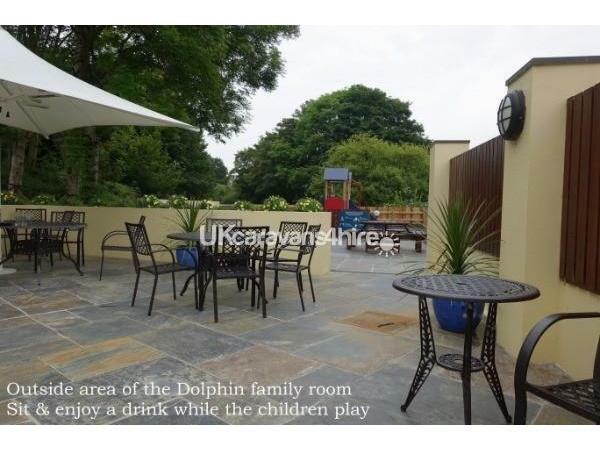 Cardigan Bay is such a magical place, stunning scenery, great wildlife it's perfect if you want to escape the hustle and bustle of today's modern life and want to relax. 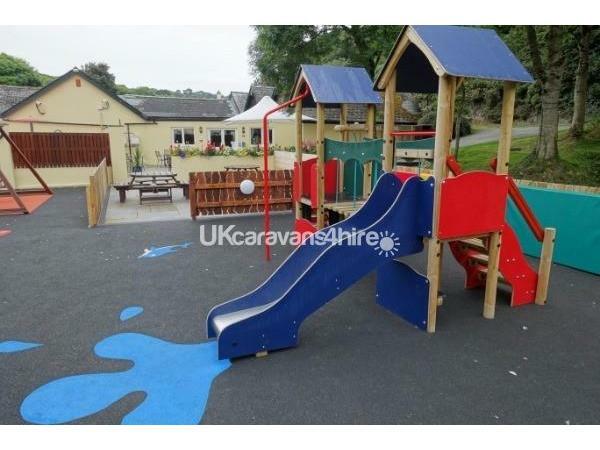 We fell in love with Cardigan Bay holiday Park and the area recently while on a short break here so decided to purchase our own caravan. 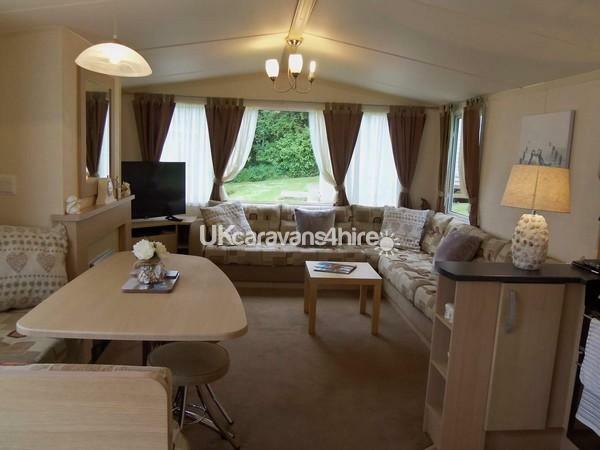 Welcome to Beach Retreat which is a lovely modern 2 bed Swift Burgundy caravan. 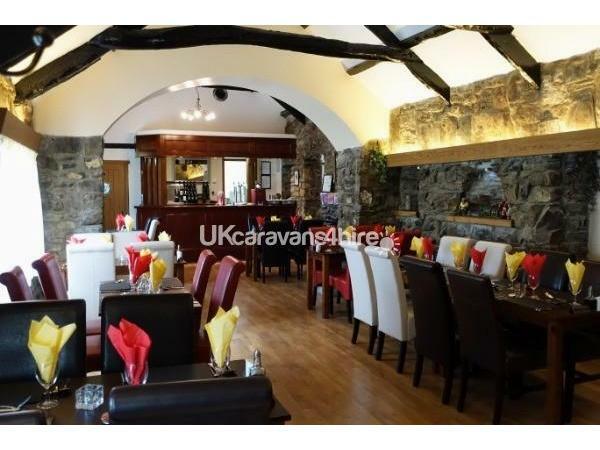 It has gas central heating and is double glazed throughout.In a spacious lounge area there is large wrap around seating a 43" lcd 4k ultra hd TV, a DVD player and a selection of dvds. In the dining area there is a free standing table with wrap around seating and open plan kitchen. 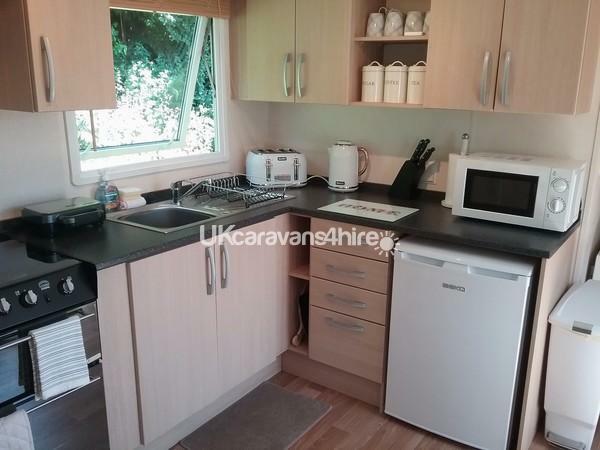 Kitchen is well equipped including microwave and slow cooker. 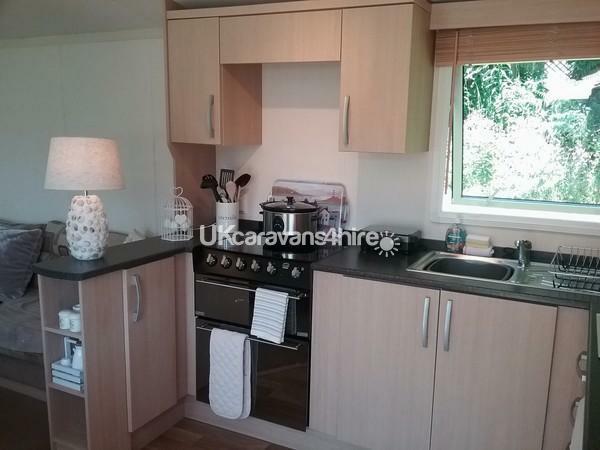 Following on from the kitchen you will find a twin room and a spacious double bedroom with plenty of storage and is also en-suite. There is also a spacious shower room. Beach Retreat is sited in a lovely sunny spot and a patio table and chairs are provided for you to sit out and relax. 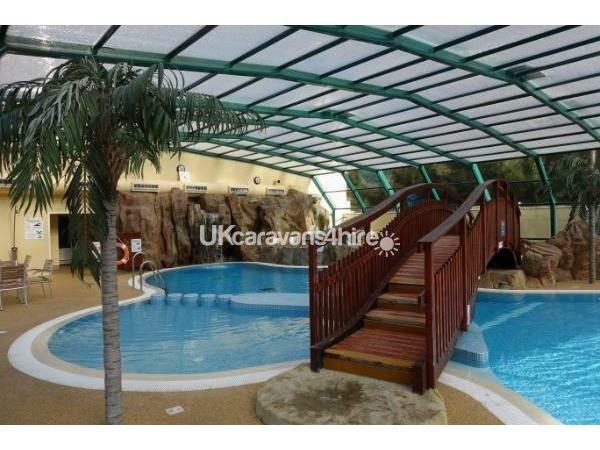 Cardigan Bay Holiday Park is a dog friendly park that's got great facilities for all the family, a unique indoor pool with a retractable roof and 2 hot spa's, a children's play adventure play ground a small football pitch and a small arcade games room. There is a family pub/club, restaurant a small shop selling essentials a launderette and there is free WIFI in reception area. The site is just 300yds from the beautiful sandy Poppit Sands Beach and the start of the Pembrokeshire coastal footpath, 186 miles of stunning scenery to explore. 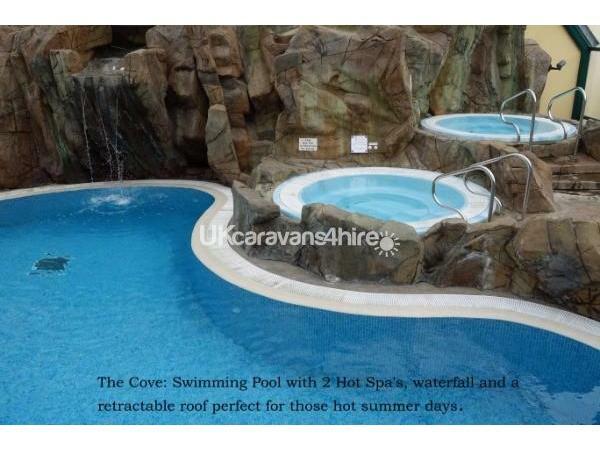 The site gets fully booked very quickly year after year with many being return guests so book early to avoid disappointment. *Please note although we are not a pet friendly caravan, please be aware for people considering booking with us who suffer from allergies that our own family pet has stayed with us at the caravan.